This spa filter offers 50 sq ft of genuine Reemay<sup></sup> material, helping to keep your spas and hot tubs cleaner for longer. This filter replaces the following models; Unicel 6CH-940, Filbur FC-0359, Pleatco PWW50P3, and Aladdin 14510. NOTE: Filters should be changed every 4-6 months (depending on usage). For best results, clean your filters regularly using Canadian Spa Filter Free Cleaner Solution. Use the Aromatherapy Spa Scent to create the perfect environment while you lay back and relax in your aromatherapy compatible hot tub. Pure, fresh, and quietly elegant, this scent will make you feel comfortable and help you relax, Try this scent with a cup of green tea for a truly restful spa experience. "The Canadian Spa Deluxe Starter Chemical Kit contains everything you need to care for your spas and small swimming pools. Use these chemicals to get the most out of your spa, with clear and bacteria-free spa water. Kit comes in a plastic pail with lid and handle so you can easily carry and store all of your chemicals. Kit includes Chlorinating Granules (800 g), Spa Shock (1 kg), pH Up (750 g), pH Down (1 kg) , Alkalinity Boost (750 g), Foam Free (500 mL), Stain and Scale Control (500 mL), Spa Clear (500 mL), 50 Test Strips and Instructional Guide. The Spa Ball acts like a sponge to absorb oils and other residues from the water. This helps to keep your spa clean and achieve crystal clear water. Can be placed either in the spa filter box or allowed to float freely. Includes cleaning cloth. Schneider Electric offers a metal enclosure hot tub/pool/spa electrical protection line, the HomeLine Hot Tub/Pool/Spa Pack. This pack includes a HomeLine outdoor loadcentre and an installed 50A ground fault circuit interrupter. 50 sq. ft. Threaded Spa Filter This spa filter offers 50 sq ft of genuine Reemay<sup></sup> material, helping to keep your spas and hot tubs cleaner for longer. This filter replaces the following models; Unicel 6CH-940, Filbur FC-0359, Pleatco PWW50P3, and Aladdin 14510. NOTE: Filters should be changed every 4-6 months (depending on usage). For best results, clean your filters regularly using Canadian Spa Filter Free Cleaner Solution. 50 sq. 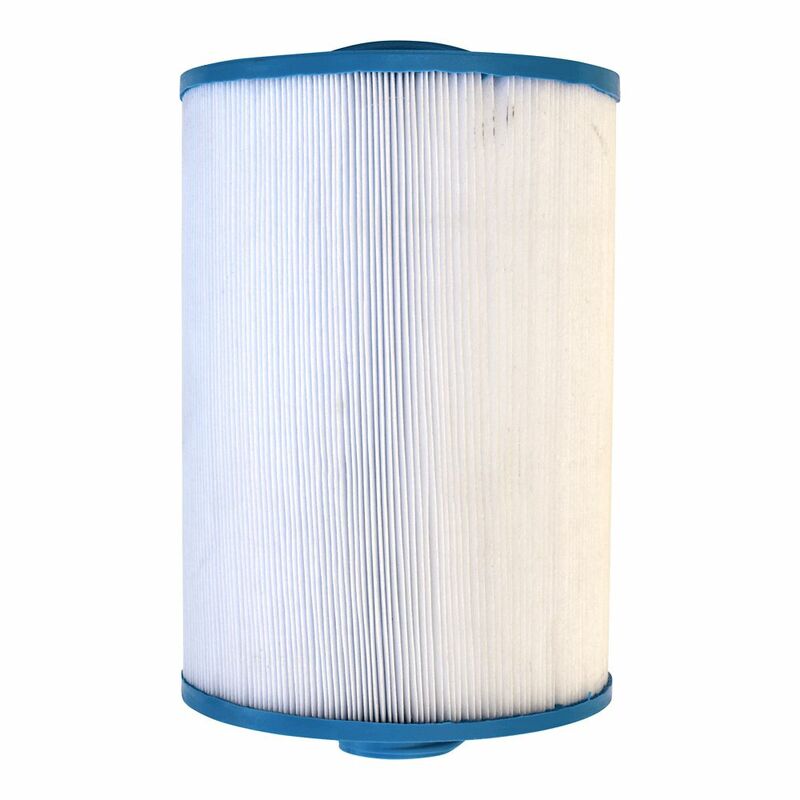 ft. Threaded Spa Filter is rated 1.0 out of 5 by 1. Looking for extra filters for the Toronto spa, 2014 model. Which filter is it?